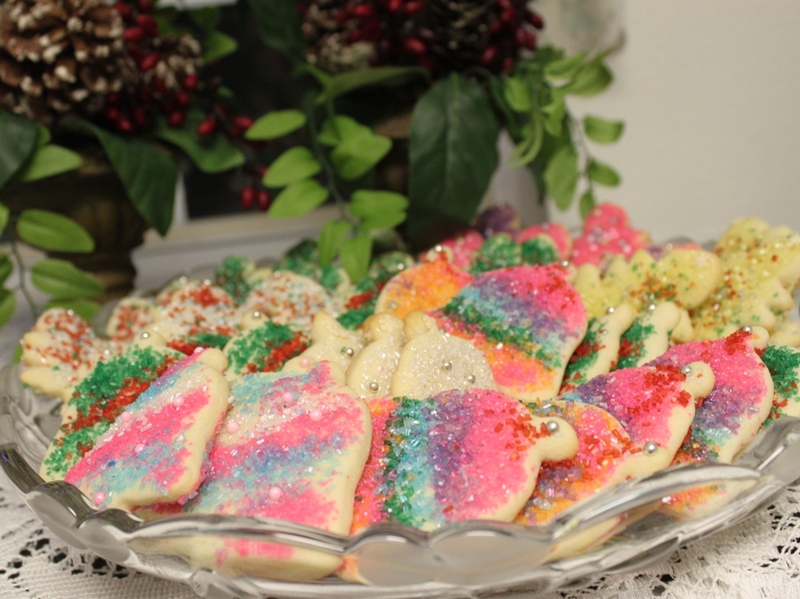 Basic Sugar Cookies | Rosetta Bakes! I‘m always looking for new cookie recipes, and this one caught my eye. It’s a light sugar cookie that’s easy to make, and dough does not have to be refrigerated prior to baking. A cookie that I’m adding to my list of must have recipes. Assorted sugars to decorate cookies. Cream together butter and confectioner sugar and set aside. In a separate bowl, mix egg with flavoring of choice (vanilla or almond). Add egg mixture to the creamed butter mixture and mix until well combined and creamy. In a separate bowl, sift together all-purpose flour, baking powder and salt. Add flour mixture to creamed mixture little by little, mixing well after each addition. You can tell when dough is ready when most of it sticks to the paddle and it has a little give and does not stick to fingers. Roll out onto lightly floured surface 1/4 inch thick. Place cookies on a cookie sheet (lined with parchment paper) and decorate with assorted sugars. Bake at 400F for 7 to 8 minutes.